Now take a pan add oil heat it. 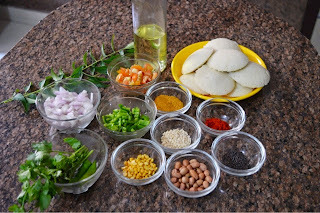 Now add mustard seed as it splutter add urad dal, channa dal, asafoetida, curry leaves and peanuts saute it. 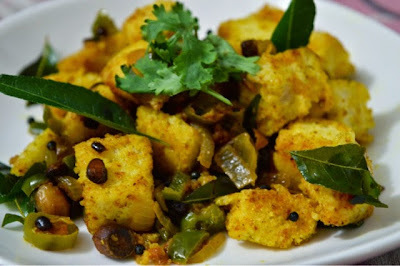 Now add chopped capsicum cook it for a minute or two then add Idlis and mix gently. 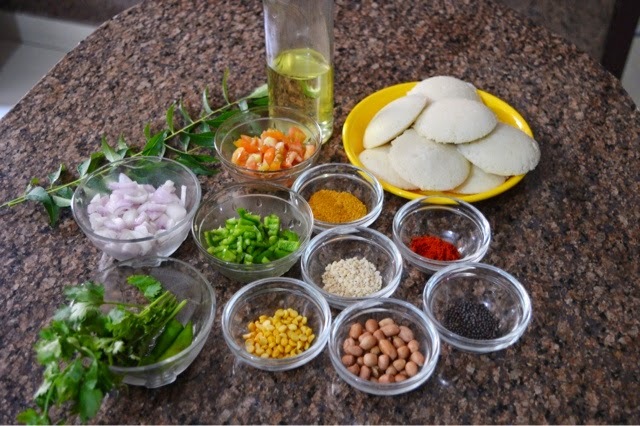 Make sure that all Idlis are nicely covered with masala if it looks dry just sprinkle few drops of water . 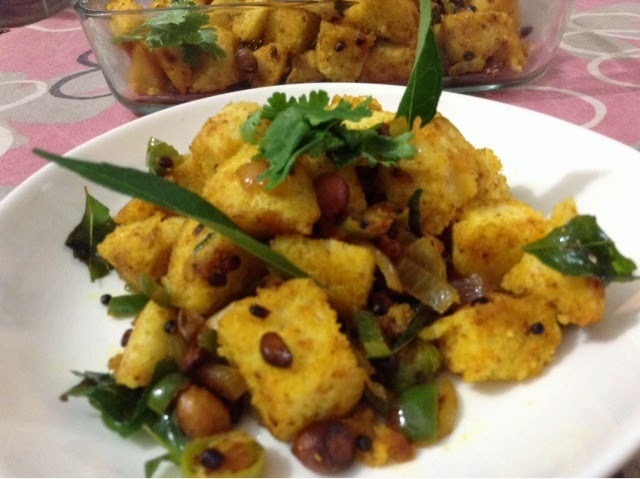 Tip : You can even add grated fresh coconut to this .